billboard Archives - Build the Brand. Protect the Brand. R&R Partners and the transportation market have a great history together. From our work redesigning Boeing.com to our highway safety efforts, our agency has continued to produce successful results for all of our transportation clients. Most recently, we helped Ford enter the European market. What does it take to have this type of sustained success in an industry? In today’s transportation market, there are very few segments more crowded and competitive than the automotive industry. This market competition leads to an endless supply of advertising targeted toward potential and current customers. So what tactics allow brands to rise above their competition? Here’s a look at some of the latest ads and tactics that are shaping the automotive advertising and marketing industry. What better way to convince a car owner to upgrade their old car than by targeting them while they’re in their car. This fall, a billboard in Tokyo will automatically identify the make and model of vehicles driving by and customize the billboard message to the consumer driving by. How does the billboard accurately project the vehicle make and model? It uses an AI called deep learning, which allows a computer to recognize patterns in huge piles of data – or in this case, hundreds of thousands of images of used cars. When a market is flooded with ads, one of the best ways to stand out is through personalization. Consumers pay more attention to an ad that speaks directly to them, so this new technology will allow auto brands to increase their visibility during the customer acquisition and retention phase of the purchase process. While being able to directly target a segmented consumer group is great, increasing the number of test drives is another key benchmark during the consumer purchase funnel for any automotive company. With this in mind, the Range Rover Evoque took the test drive away from the dealership and into the city. 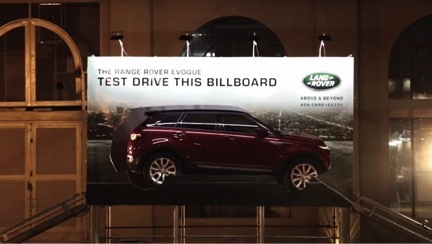 An ad in Singapore placed a real vehicle inside a billboard with a “Test Drive This Billboard” call-to-action. The eye-catching motion of the vehicle pulling in and out of the billboard created a sense of excitement about the test-driving experience − something that isn’t always seen favorably by today’s consumers. Once the car was on a test drive, a clock would count down the time until the vehicle would return. This created a level of intrigue and excitement that led to an increase in test drives five times over, compared to the number of test drives from the showroom. In a segment where a test drive is a key point in the path to purchase, finding new ways to get people into a vehicle will be essential. As consumers get smarter and continue to value ease of accessibility, bringing the test drive to the consumer will be an effective tactic for any brand. The automotive industry continues to be one of the most active industries across social media advertising. Consumers want to engage with brands before, during and after their purchase process, and finding ways to leverage this desire to share will help increase brand loyalty and prominence. Buying and owning a car is something that everyone can take pride in. Your car can be your go-to audio system, your place of serenity and everything in between. Toyota’s more than a car campaign uses this personal connection to collect social posts from all of their drivers, rewarding them with personalized nameplates for their Toyota. By encouraging and compensating social engagement, Toyota continued to build a brand loyalty that positioned them well with their audience and encouraged customer retention. As consumers continue to spend more time online, digital media consumption will rise. With consumers who are using digital tools throughout the entire purchase funnel, having a strong digital presence is essential. Before heading to the dealership, users will spend the time researching vehicles online and even purchase directly on site. 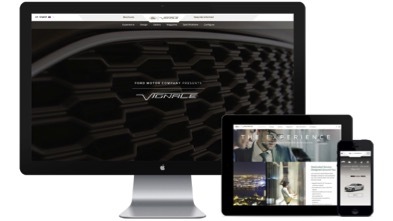 This provides brands the opportunity to build engaging content, in multiple languages, much like R&R Partners’ Ford Vignale site. Every car has a varying version of design highlights, 360 tours and more. These assets continue to be consumed during the research phase of the purchase process, but the best brands are using the assets to tell a complete story for their potential customers. BMW recently built an interactive showroom that created a unique digital experience that encouraged engagement and differentiated their brand from their competitors. While the final assets created were similar to those of its competitors, BMW’s digital showroom built a complete picture of their brand, vehicle fleet and key features, all in one medium. In the digital space, the most successful brands will continue to have multiple digital assets that work together to tell a cohesive brand story. One of the hottest content forms that consumers continue to digest is virtual and augmented reality. Trust me, we know. Brands continue to find the benefit of creating virtual and augmented reality content as it provides unique and new experiences for a consumer. For the automotive industry, this new technology can help brands provide consumer-focused content throughout the purchase funnel, either at home or in dealerships. Audi has recently taken a dive into the VR space by creating a VR showroom for their customers at select dealerships. This showroom will let the customer view an Audi in a number of different exciting environments, such as space, while giving them exclusive looks at the vehicle (X-Ray vision, anyone!?). As automotive brands continue to pursue the latest technologies, the use of VR will help give a brand the perception that they are at the forefront of the tech race. Consumers want as much information as possible before purchasing, and VR will help inform and excite a consumer before making a purchase. While VR is becoming more mainstream, augmented reality (AR) is just beginning to make its mark. 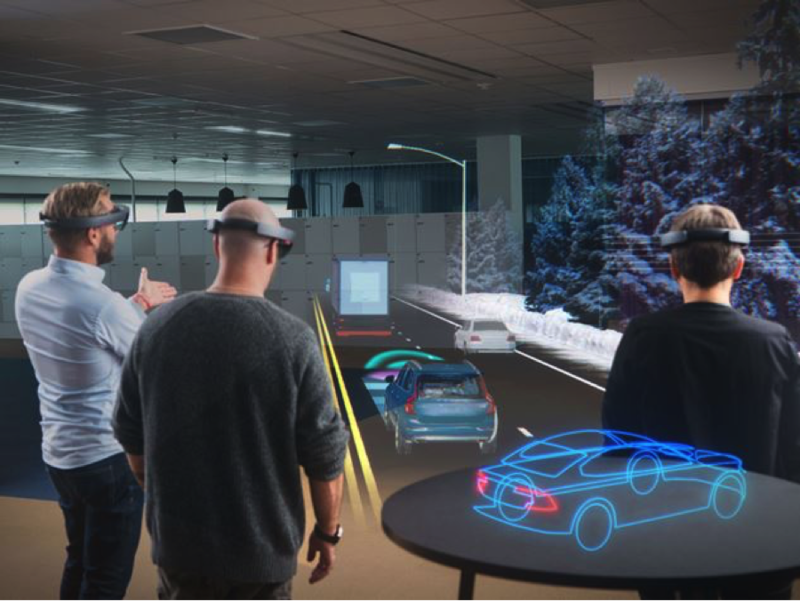 Volvo recently announced a partnership with Microsoft’s HoloLens – one of the newest AR headsets on the market. Augmented reality will help Volvo create a car-buying experience unlike any other. Using AR, Volvo will be able to project virtual images while still allowing the user to interact with the real world around them. This means consumers will one day be able configure a car’s color, wheels and other specifications without ever having to see the real vehicle. Don’t like those rims? Simply swipe them away from your augmented vehicle and put the next set on. Other safety features can be highlighted as well, and pieces of the car that are normally difficult to see can be easily projected. Ultimately, AR will help the automotive industry give more information about their vehicles and their brand than ever before. Whether it’s car availability, model revisions or access to locations, creating an awe-inspiring car commercial is not an easy production. However, a company called The Mill has recently created The Blackbird that allows advertisers to shoot and repurpose a car ad without needing the car. From TV spots to digital assets, including VR and AR, this new technology can help change the way all automotive brands advertise. Ultimately, all of these advertising tactics will help automotive brands improve brand perception, awareness and loyalty. 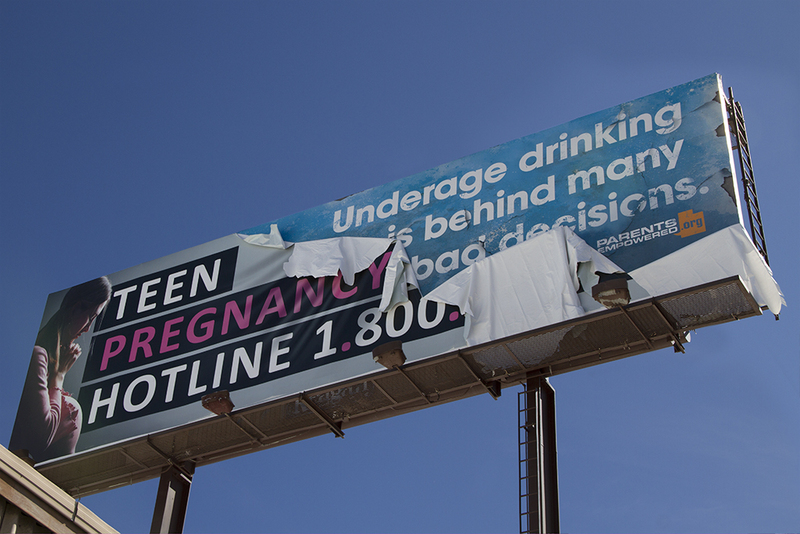 There is a real strength in having advertising that tells a story across a diverse set of content. The race among the automotive industry will continue, but the brands that continue to explore new marketing roads will be the ones that win the race.